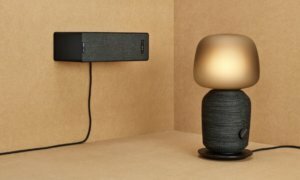 The KIN Mini speakers from Totem Acoustics measure just 5 x 8.9 x 5.8 inches (126x226x146 mm), which make them a good fit for pretty much any room. 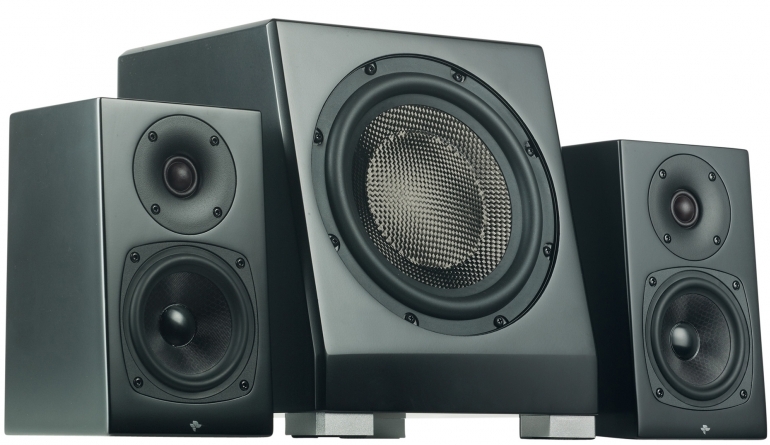 They are partnered up with the KIN Sub, which is a subwoofer just as small: 9.5 x 11.25 x 11.5 inches (241x286x292 mm). The speakers sound a whole lot bigger than they are, with 4-inch phenolic honeycomb woofers and .75-inch soft dome tweeters. 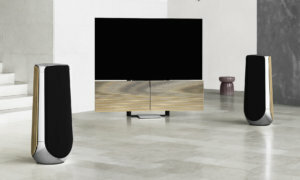 They sport a small bass port above the bi-wire speaker cable connectors and the build quality is not bad at all, with both black or white variants for the painted finish and the cloth grilles. The KIN Sub is sealed (non-ported) and it hosts an 8-inch carbon fiber woofer with a built-in 150 watt Class D amplifier. It has a good control over low frequencies but the blend between it and the speakers is not as smooth as one might prefer and there is also a bit of an issue with the response in bass between the sub and the speakers. Still, the system is pretty loud for its size and the sound quality is crisp and engaging. They are a little pricey though, as the KIN Mini speakers go for $500 per pair and the KIN Sub is $699. You do have the cheaper, even smaller version in the Kin Sub Mini that you can grab for $500, but if you buy the set, you’ll definitely feel your wallet lighter.